In our everyday life we struggle with work at jobs, with work at home or school, with work at our volunteer activities such as sports, choirs, neighborhood and community groups. We even struggle with work at our churches, especially when it comes to fundraisers to keep the doors open. However, most of our work time, energy, and effort is placed in our jobs and our homes. But when we ask ourselves why we work so much we more often than not simply answer by identifying a ‘need’ of some sort. We need a place to live, we need food to eat, we need clothes to wear. For most of us these needs are met quite amply even if not precisely to our glamorous liking. But being 21st Century inhabitants of the so called civilized world we have identified some other “needs” as well. In order to do our jobs we also need vehicles. A mode of transportation is quite honestly a need, as most of us would not be able to function on public transportation; never mind the concept of neighborhood subsistence. Further, we need a telephone. It’s simply impossible to function without this device that allows us to communicate with someone who is in a distant location away from us. Moreover, the basic phone isn’t sufficient we need computers and portable devices that function precisely like computers and take us into the universe of the internet. All of these have become ‘needs’ for many of us. You might think, I’m finished with my rant. But I can point out to other so called ‘needs’ that we have developed. We have costly sports organizations for all types of sports because our kids aren’t allowed to play outside in their neighborhood with other kids. We have art and music and more sports workshops for pre-teen kids, because they “need” those things. While I lament much of the above, I admit that some of these aspects have indeed become indispensable. I also firmly state that some of these developments are good and useful. However, I lament even more greatly the fact that we have lost or perhaps never really developed, the ‘need’ to repent. St. John the Forerunner and along with him, our Lord and Savior Jesus Christ firmly exhort us to “REPENT” as part of our preparation for the kingdom of heaven. Christianity is often reduced to ‘clubs’ which gather to assemble a set of programs which makes all the paying members feel good about their membership. Yes, indeed, we Christians love lofty prayers or songs, our dynamite preachers, our social justice ministries, our charitable outreach programs to the needy, and the golden calf of 21st century American Christianity ‘youth programs’. It is so much easier to feel like a Christian when all we have to do is participate in some fun activities, give some money to the poor, or congratulate our kids for coloring yet another silly coloring page, hear our teens say they had fun at youth group. Now, none of these activities is bad, in fact, they are all good things, but when these are absent from the meaningful pursuit of repentance of our sins, all of them become useless. The greater problem, perhaps, is the fact that we do not stop to consider that we might live a life that requires change. We don’t really want to change anything in our lives, because we love all of these things that take our concentration away from the brokenness that thrives in our lives. To repent means indeed to change, to turn and face away from worldly passions and face toward the Triune God. To repent is to sink into the depth of the brokenness we have built in our souls and to struggle to shed the dirt that stains the icon of Christ shining brightly within us. Brothers and sisters, such an example of inner search and repentance is our Holy Mother Mary of Egypt. She lived a life of intentional sinfulness, and when she realized it, she sought forgiveness within the Body of Christ, His living Church on earth. Then having been given the Mysteries, the immortal Body and Blood of Christ, she began her ascetic life of repentance. Brothers and sisters, she is indeed one lived a life that was not of this world. While nearly 5 decades in the desert alone is not what the Lord God expects of us, her example teaches us how much more we can grow. Perhaps we excuse ourselves that we do not identify with early life of sin, and most of us don’t, but the lesson remains valid. Unless we examine our lives honestly and deal with our brokenness earnestly we will continue to miss the mark, to live a life of sin, all the while convincing ourselves that we are doing good things and we believe in God’s grace. 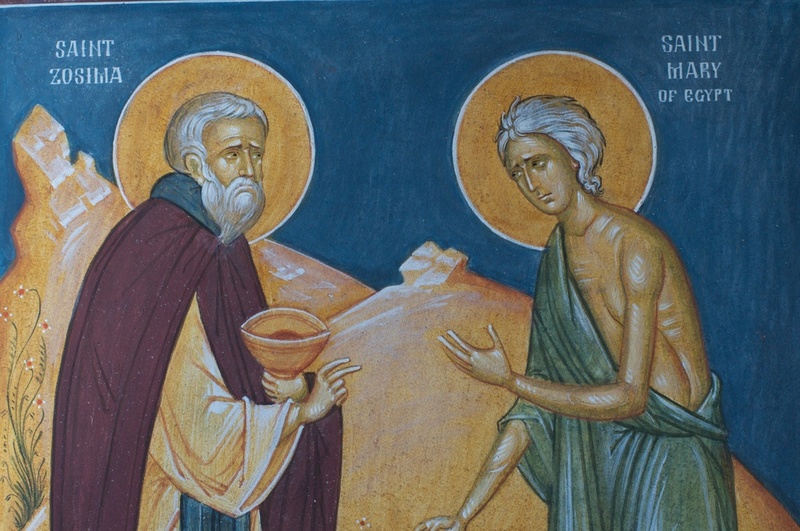 Therefore, brothers and sisters, let us take St. Mary of Egypt as an example of the realization of our own need for repentance so that we too, may be exalted by God’s favor, to the glory of His kingdom. Amen. Homily for the 4th Sunday of Great Lent – St. John of the Ladder. Today we celebrate St. John the Ladder. He was a monk and abbot of the famous monastery located on Mt. Sinai, which is where Moses, after leading the Hebrew people out of Egypt, received the Ten Commandments. St. John is known as the Ladder because he wrote a book, in his old age, of how one ascends up the virtues, as in going up a ladder, in order to reach heaven which is at the top. The book has thirty chapters, which are treated as thirty rungs on a ladder. (As one can see, we have a copy of the famous icon of the ascent up the ladder here with us—the original is at St. Catherine’s on Mt. Sinai). Before I go any further, I wish to share with you a story. I shared it last year with my parishioners and I want to share it with you now. At the time when I first shared it last year, I came, by chance, upon some old journals I wrote when I was just out of high school. I wrote them when I had taken a summer job painting the exterior of homes over 20 years ago. They refreshed my memory of what I used to do best, that was, climb ladders. I did not work alone back then, but in a crew. And I learned fast. I was younger, skinnier, that is, lighter then, did not have much seniority and was very eager to please my manager who was willing to take advantage, that is, utilize, my can-do attitude. We would do very large homes, over thousands and thousands of square feet. These were million dollar homes, with Rolls Royces and Picassos in them, which I saw with my own eyes. And these million dollar homes were very tall. They would not be your typical two-story colonials, but multistory homes. They were in a ritzy part of town where the zoning laws were very relaxed for millionaires and many of the homes—with people who had money to spend—were subsequently very unique, kooky even, with strange dimensions, like exceptionally long or tall. I remember we had to paint this very tall house when I was just new to the job. The painting company I was with did not work with boom or scissor lifts, that is, platforms that hydraulically rise up and down, in order to paint, but we worked with good old-fashioned ladders. They were the largest aluminum extension ladders one could think of, that used a rope pulley in order to extend them. Well, in order to paint this particular tall house, we not only had to use one giant, heavy extension ladder, but two, roped together, both end-to-end and fully extended. I don’t know if that’s legal! One sees such a thing done, literally, with expeditioners who are trying to climb certain parts of Mt. Everest. I have the picture to prove it! No one wanted to go up to the gable end, that is, the highest point, of this house, especially on two forty-foot ladders combined together. Everyone was dithering. And guess who the boss chose to go up there. Me! So, scared out of mind and still afraid of heights, I went up this giant ladder balancing a bucket of paint, my roller and paint brush. It’s like being a sailor trying to reach the top of a mast, but instead of climbing directly upward, at a ninety degree angle, I’m climbing at a 50 degree angle over a tremendous amount of space underneath me, working without a net, while trying not to look down, in order to reach the top. I will try to explain what goes on in the mind as one makes such an ascent. When one gets on the first rung, everything is still o.k. 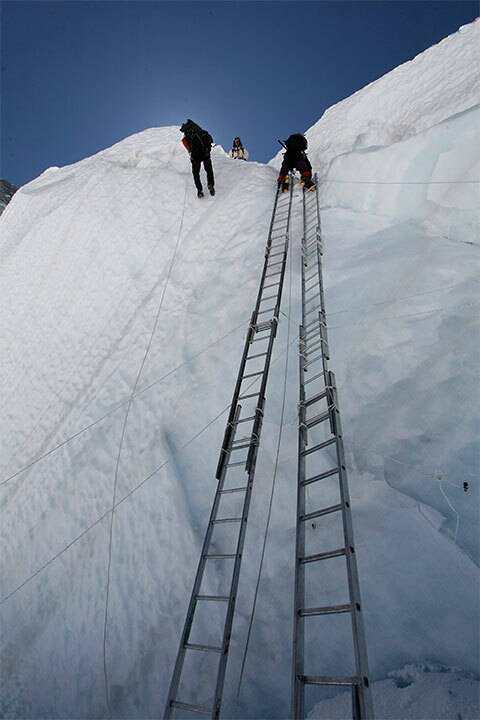 Then as one makes the climb—especially as one gets farther and farther away from the ground—the ladder starts shaking. One begins to wobble up and down, especially in the middle. One’s hands start to sweat, the heart races and one wants to give up and come down. One has to push oneself though and keep on going. Once at the top, the ladder stops shaking, and there is stability once again. And in that stability, one can work, unhindered, with amazing peace and serenity. My brothers and sisters, can you see the analogy here? As we make our ascent to God and in the virtues, we leave the stability of the ground, that is, the world and worldliness below—that we are familiar with. As we go up and up, especially as one hits the middle of the ascent, the ladder begins to wobble and shake. We look down and think, “What am I doing! I want to come back down!” But this is only a temptation. One has to push oneself. We push ourselves through all the wobbling and anxiety—that is, through all the thoughts and temptations generated from within ourselves and/or from the fallen angels, telling us to give up and go back to our old passions. But we must push on. Then, when one reaches the top, the ladder stops moving and there is amazing stability once again, where one can complete the mission that one was originally sent on. The mission, for us all, is to reach the heavenly kingdom, the goal of our lives. 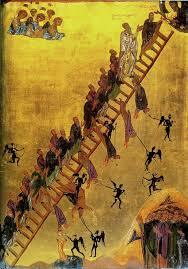 May God, through the prayers of St. John the Ladder, help us reach this Kingdom, that is, the top, the summit! Amen. Here we are brothers and sisters, at the midpoint of this Great and Holy Lent. And as usual, on this day, the Church in her Holy Wisdom, has set this day aside to commemorate and exalt the Holy Cross. Now as many of us who have been striving to fast, pray, repent, and love more, I think it is safe to say we can all see where we fall short. We can all see where we need improvement in our walk with Christ. But this is the very purpose of Lent, and this is the very purpose of why we fast, pray, repent and strive to love more. But what does this all lead to? It should lead us to a point where we feel completely helpless without God. Ultimately we are learning the embrace the understanding of what our Lord says, “I am the Vine and you are the branches. Without Me you can do nothing.” (John 15:5). I remember when I was at seminary, which was Holy Cross Greek Orthodox Seminary, (fitting for today) this verse was put in the window of our dormitory chapel, so you could always see it as you walked into the dorm. Now looking back on that, I see why this verse is so important for us to remember. It was important for us as seminarians, but it is important for us as followers of Christ. If you are laity or clergy or monastic. Because it is from Our Lord that we are given anything and everything, except for our sins. But it is now, at this midpoint of Lent, that we should be coming to the realization of how much we need Christ, and when He asks us to take up our cross and follow Him, He is not saying to do it alone, but to do it WITH HIM. But not just during Lent, but throughout our lives, but we must do it. There is no way around it if we are going to follow Christ. It says the Epistle of James, “my brethren, count it all JOY when you fall into various trials, knowing that the testing of your faith produces patience. But let patience have its perfect work, that you may be perfect and complete, lacking nothing.” (James 1:2-4). Now when I was preparing for this sermon, I came across another persons analogy on this, so I can’t take credit for it, but I really liked the symbolism and also because I loved the movie as a kid growing up. I’m sure many of you have seen the movie “The Karate Kid” Well, in the movie Mr. Miyagi agreed to teach Daniel Karate but when he showed up for his first day of lessons, Mr. Miyagi had him wax a yard full of antique cars. Remember, “wax on-wax off Daniel-san” Well, he worked all day waxing those cars and when he showed up the next day ready to learn a few Karate moves, Mr. Miyagi had him paint a fence. The third day dawned and still there were now lessons. Instead Mr. Miyagi had him sand his deck by hand. Finally Daniel had it- he wanted to learn Karate and was instead being treated like a hired hand. He began to quit but Mr. Miyagi stopped him and said, “Daniel-san, show me wax-on, wax off” Daniel did and then Miyagi said, “show me paint fence.” Then “show me, sand deck.” Next Mr. Miyagi began to punch and kick at Daniel and to his amazement, by using the motions of waxing car, painting fence, and sanding the deck, he was able to block every hit. Without knowing it, his three days of preserving through the suffering had actually been a secret Karate apprenticeship. Daniel had learned Karate without knowing it. Now if we turn our attention to real life examples, we can see may holy men and women who carried their cross. All the Saints of our Church are prime examples. However recently I read a short book about the life of a holy elder from Romania. His name is Elder Justin Parvu. In this book you read about the his life and hardships he faced in communist prison camps in Romania, but then also about the wisdom and love he shared with so many. At the end of the book he is quoted saying, “The experience of patient endurance makes you stronger, more confident; it builds your character.” He also says, “let us put on the humility of the Cross and the sweetness of the Crucified One. If we stay on this path of salvation brothers and sisters; If we continue to fight the good fight and finish the race, the joy will be there. The everlasting joy that is given to us from God alone. The joy or forgiveness, the joy of mercy, the joy of peace. So all the fasting, all the praying, during in lent will lead you to joy. All the sickness in life, all the trials of life, will lead us to joy. Let us focus on the cross, which for us as Christians is not a symbol of defeat, but a symbol of victory. Not a symbol of death, but of life. Not a symbol of sadness, but ultimately joy. Yes, it is truly sad the Our God had to suffer on the cross as He did. It is sad that we all must suffer in this life. But our focus is not on this life but the eternal life beyond the crosses we carry and the Cross Our Lord forgave us on. So brothers and sisters, receive that forgiveness with joy. We look to the Resurrection, and ultimately to the Eternal Heavenly Kingdom. Where I hope and pray that all of us hear the most wonderful words from Christ after this life is over, as our Lord said in the Gospel of Matthew, “His Lord said to him, Well done, you good and faithful servant: you have been faithful over a few things, ……. enter you into the joy of your Lord. This, the second Sunday in the Holy and Great Lent, we remember the holy father among the Saints Gregory Palamas. We believe that he was born in Constantinople in a faithful Christian family, who were of some noble status in the city and region. His father died while he was young, and after his mother’s passing St. Gregory guided his sisters toward monastic life in Thessalonica. It is believed that one of his brothers was also a monk. St. Gregory greatly desired a life of solitude and contemplative prayer, so he joined the spiritual life of the monks on Mt. Athos. His life took a different course than he had chosen. In fact, it became quite turbulent for 2 reasons. First, the early invasions of the Ottoman Turks forced him to flee the monastery, and, second, his work in combating the monk Barlaam and his erroneous teachings, which were influenced by academics. He spent his life primarily in his hometown of Constantinople, Mt. Athos, and in Thessalonica, where he was elected bishop. The political turmoil of the time made it difficult for him to serve in his diocese at first, but he did manage to serve as bishop for nearly a decade before he passed away in 1359. Serving 10 years as bishop was a long tenure at the time. People have written of miracles that Christ allowed to take place as a result of his prayers even in his lifetime, and the Church entered him in the ranks of the glorified saints in 1368, which is unusually soon after his passing. May he always pray for us! His theological writings are abundant but only a portion of his work has been translated into English, much of St. Gregory’s writing is available only in Greek, Romanian, and in recent times in Slavic languages. Thankfully, his works are being translated at a rapid pace in English, French, and German. This most enlightened 14th Century monk, bishop, and theologian plays a truly significant role in our understanding of God with respect to His essence and His energies. St. Gregory Palamas decidedly taught that we cannot fully know God in His essence, but that we do fully know Him in His energies, precisely as He reveals Himself to us. He taught that we can indeed experience the ‘uncreated Light of God’ through repentance, worship, and contemplative prayer although we do not robotically achieve it. Further, he taught that non-monastics can also ‘pray unceasingly’ even in the midst of daily chores and activities by way of an ever-increasing mindfulness toward God. Rejoice, you through whom the Light did supplant it. Rejoice, the confuter of one created and nonsensical. Rejoice, you who called His energy a depth difficult to sight. Rejoice, for you have spoken against the views of the wicked. Rejoice, the bowl imparting the sweet nectar. Rejoice, through whom was falsehood extinguished. Let us also venerate this Saint of our Church remembering that he is indeed a star that shines brightly making the Sun, our Lord and Savior Jesus Christ, evident in our lives! Here were are again celebrating the first Sunday of Great Lent. 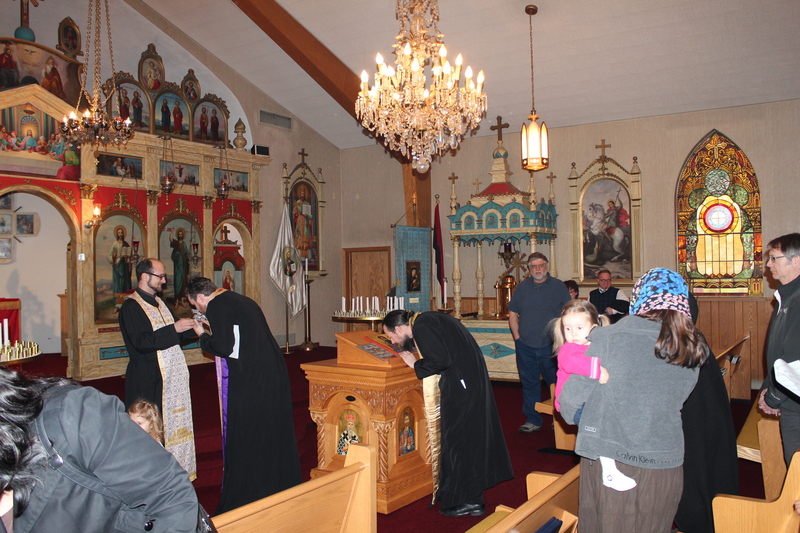 Most of us already know the history of the Sunday of Orthodoxy. How our Holy Icons were persecuted for over a hundred years in the 7th and 8th century. And how the Church was able to denounce this iconoclastic movement and label it a heresy. Yes, Iconoclasm, the act of condemning and fighting icons, such as the ones in this church, is a heresy. And in our western world, this heresy is very mainstream. 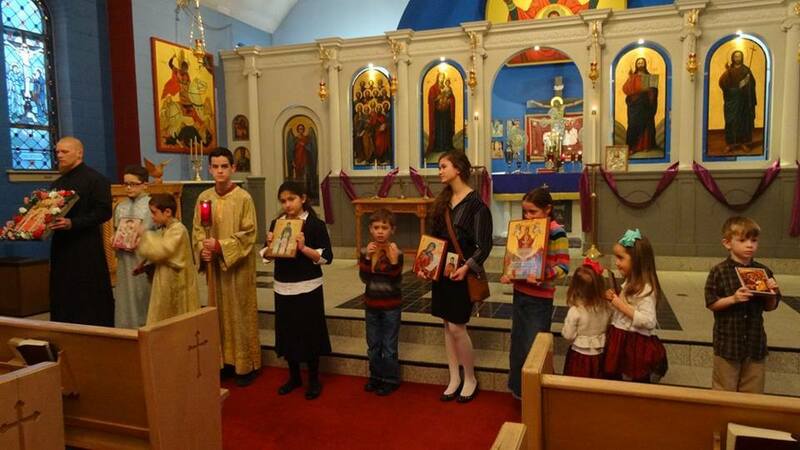 A lot of non-Orthodox churches are rabidly against icons and any visual representations of God. They believe it is idolatry. It is sad but this is the society we live in. We should know that icons are not something that Christianity came up with, their history goes back to the times of the Old Testament. There have been archeological excavations in the Holy Land – in modern-day Israel – and these excavations have found ancient Jewish synagogues that were built centuries before the birth of Christ. Inside archeologists found ancient frescoes and mosaics all along the walls, depicting events and people from Jewish History. 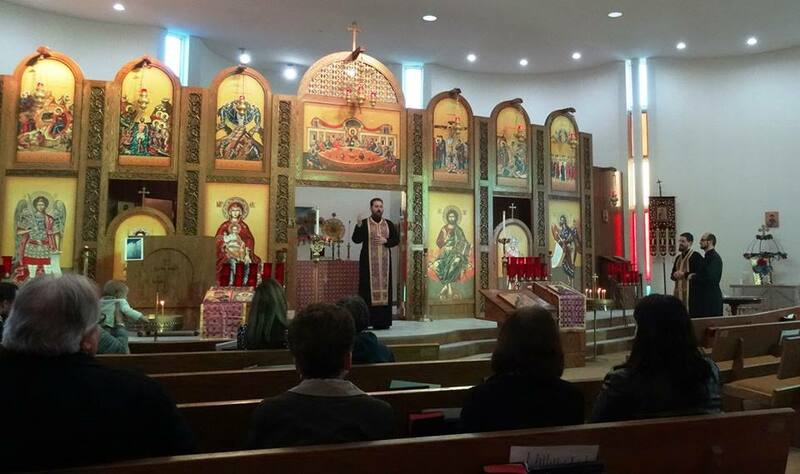 And Orthodoxy continues this tradition of Iconography and this teaching was reaffirmed by the Universal Church during the 7th ecumenical council, and given the first Sunday of Great Lent as its day of commemoration. But this feast-day is not just words on a calendar and a bygone era, it is very deeply connected to us and to our very being and essence. God created us in His image and likeness. Then God became man, He took on our fleshly body. Through His incarnation, He went even further and sanctified the human body. He brought Himself closer to us, so we can become more like Him much more easily. 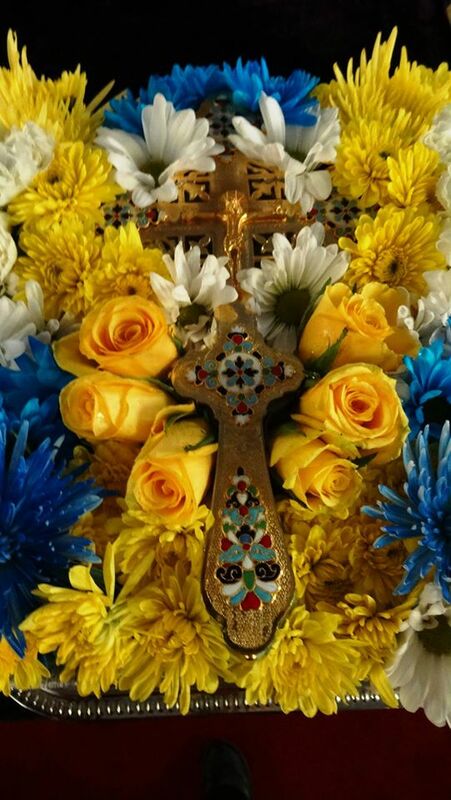 As the Great theologian St.Justin Popovic of Chelije said: “Man’s soul is from God, the soul is the image of God in man, it is the icon of God in man, and the body is the frame around that holy icon. And Man is a walking icon of God that walks through this world” (1). Being an icon of God is a great joy, responsibility, and task for all of mankind. Let’s think about that and let it sink in…. Every person in the world – in their body and soul – is a walking Icon of God. This truth is more valuable than anything else in the world. Because this means that our soul is immortal, it does not end, and it is holy, because God is Holy and we have His Image and His icon in us. And all of us have this no matter what. This understanding is a great equalizer. This means that – in their nature – no person is better than another. Wealthy or poor, black or white, healthy or sick, Christian or non-christian, we all have divine worth. And if we saw the divine image of God in our fellow person there would be much less strife in the world. You might be thinking: but what about the people who are committing terrible things and causing much pain and suffering to themselves and others, and ignoring the divine and holy image of every created person? What is their Divine worth? Even those people have the Divine image of God within themselves, but it is through sins that they bury their divine image. They dump heaps of sinful deeds over that icon in order to hide the light that shines and reveals Christ. As St. Justin said: “they smear the black tar of sin over the Divine Image of God in man’s soul” (2). It is through sins that we pollute our souls and weigh them down. We can use these physical icons as examples for our souls. We cherish these icons, we clean them, we venerate them, we keep them in special places of respect, we keep them in our sight as a reminder of the other world. If we do not keep the icons of our souls clean and let them be buried by sins, passions, anger, jealousy, lust, love of power, pride, or if we forget about God – than we are no longer free, we become spiritually restless. We become different people from what God intended us to be, and we become our own worst enemy. Proof that we can be our own worst enemy is contained in this feast-day of the Sunday of Orthodoxy. On this day the Church commemorates Orthodox Christians overcoming themselves and their false understanding of Icons. It wasn’t outside forces that made Christians renounce Icons – iconoclasts came from within the Christians’ own circles. Iconoclasm was started by people, whose own inner Icons of the soul were polluted. They followed their own will. This led to the persecution of Icons – against the teaching and will of the Church… Eventually, iconoclasm was denounced, and since the 8th century, our Church has been celebrating Her victory over iconoclasts on the first Sunday of Lent. Our Church history offers a wealth of experience for all of us. Will we, like the iconoclasts, only follow our own Will with the result that our souls will be smeared with the tar of sin, or will we follow the Will of God and His Church, that will keep our souls clean and the purest possible icons of the Divine Image? Be careful and choose wisely, because when we stand before God in the next life, if we are covered in dirt and tar of our sins, God could say: «I do not see my image in you through all that muck, you have not kept it clean, you’re place is not in the Kingdom». What a tragic sentence that would be to hear. Fortunately, there is a solution. Anyone who has ever had a thorough confession will know how much lighter they feel when they have confessed before a priest. If you have never felt lighter after confession, you should try to examine your soul and your sins more thoroughly. Through confession and communion, God has given us a way to purify our souls. Even if we are smeared with the tar of sin, true confession and repentance washes those sins away, and regular communion gives us the strength and Will to be like Christ, and to keep our souls from becoming unclean again. Just as Christ was pure, we are also called to be spiritually pure… Christ has given His Church and the Mysteries/the Sacraments like confession, communion, and virtues like prayer, fasting, humility, charity, love, and many other things that make us spotless not just in the next life but also in this life, so that God’s image in us may be visible to God and to the people around us unto the ages of ages Amen. 1. Sermon for The Sunday of Orthodoxy by St. Justin (Popovich) of Chelije 1965.